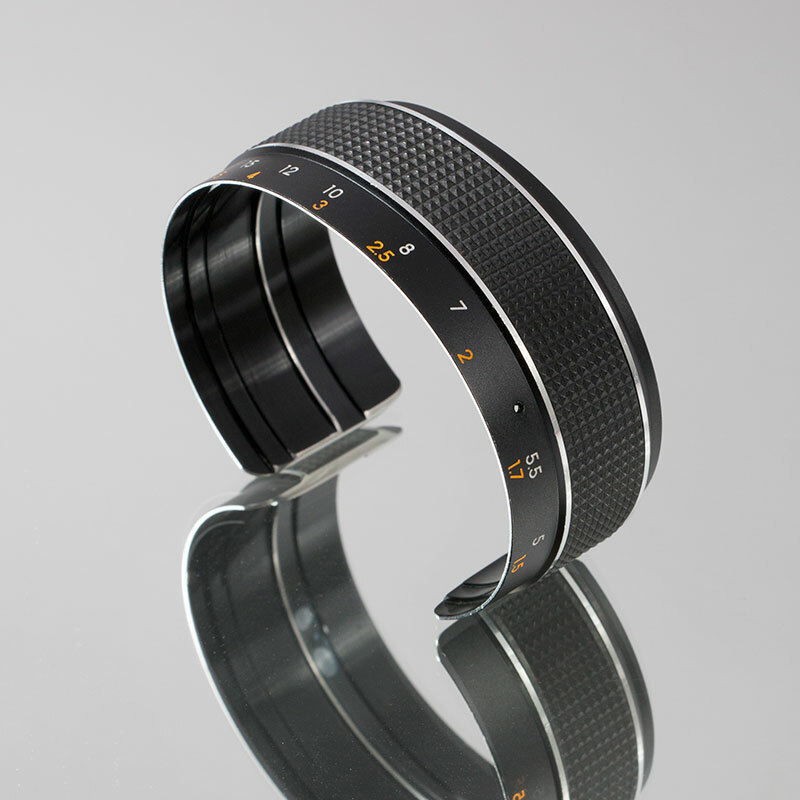 Focus Cuff re:vision recycled camera lens jewellery is made from outdated camera components. entirely hand made and unique, this piece is re-purposed from the focus ring of a film era camera. first produced in 2006 by photographer Craig Arnold, the re:vision range of jewellery has recently featured in the \’Multiple exposures\’ exhibition at the Museum of Art and Design in New York. born from a desire to see unwanted items reformed into objects of adornment, the re:vision range of jewellery is style with an original focus. 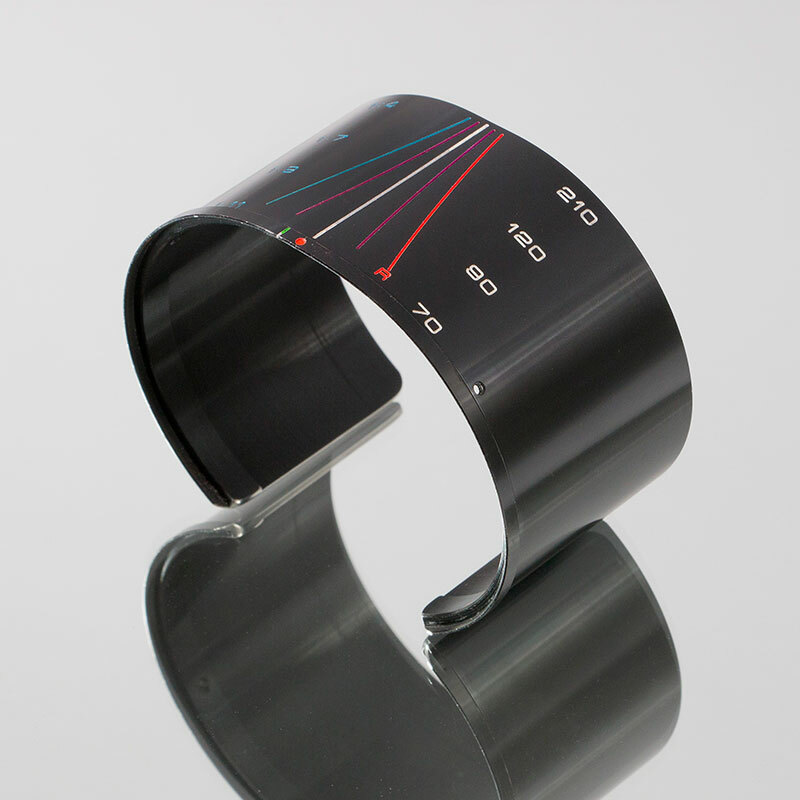 Depth of Field Cuff re:vision recycled camera lens jewellery is made from outdated camera components. entirely hand made and unique, this piece is re-purposed from the depth of field scale of a film era camera. first produced in 2006, by photographer Craig Arnold, the re:vision range of jewellery has recently featured in the \’Multiple exposures\’ exhibition at the Museum of Art and Design in New York. born from a desire to see unwanted items reformed into objects of adornment, the re:vision range of jewellery is style with an original focus.